With the years of industrial experience, we have been able to serve our valued clients with a comprehensive range of Packaging Consumables. We offer Pet Strapping Rolls, Box Strapping Rolls, Strapping Seals and many more. 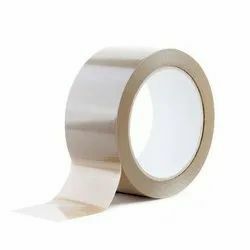 We are offering very fine quality Printed Packaging Tape which are widely used for various packaging applications in different industries. Our wide range of stretch film is available in different gauges and sizes. Stretch film avoids dynamic load shifting, prevents pilferage and protects goods from dirt, dust and moisture. 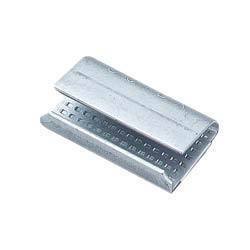 We are one of the most distinguished names in the industry engaged in manufacturing and supplying a wide range of Packaging Clips. The Packaging Clips are highly appreciated by the clients for their durability, reliability and many other features. 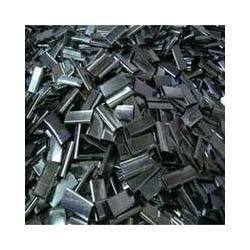 Superior grade raw material used for the manufacturing of these seals makes them durable. We bring forth for our clients superior quality Pet Strap Sealing Clips. These Pet Strap Sealing Clips are made from high quality of raw material which ensure durability at its user end. Our clients can avail from us these products at most competitive rates.